Pierre Fouché . To River. 2014. Graphite on black paper. 480 x 690mm (paper size). Pierre Fouché . To River II. 2015. Graphite on black paper. 480 x 690mm (paper size). Pierre Fouché . To the Bay(preview version). 2015. Digital video. 00:01:11 looped. 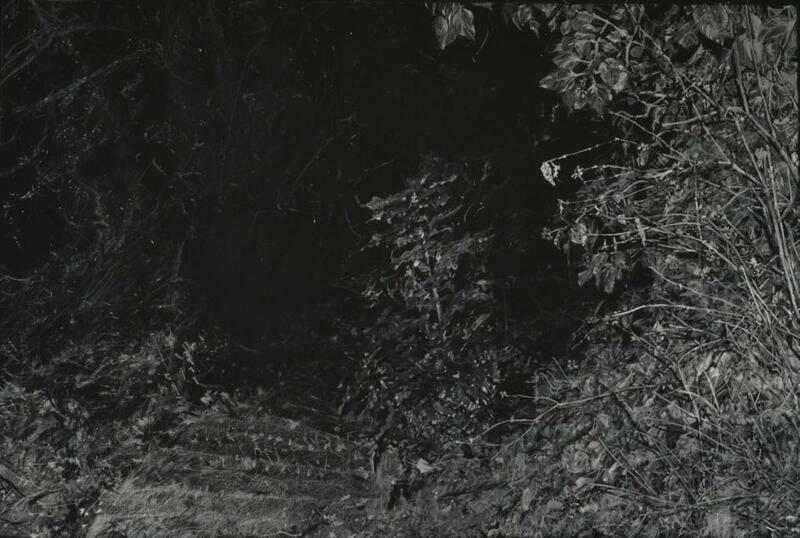 The figure is absent but implied by the locations represented in a reverse graphite drawing on black paper and a pinhole photography slideshow video: Solitude Park on the Rhine’s banks in Basel, and the hike route towards Sandy Bay outside Cape Town. 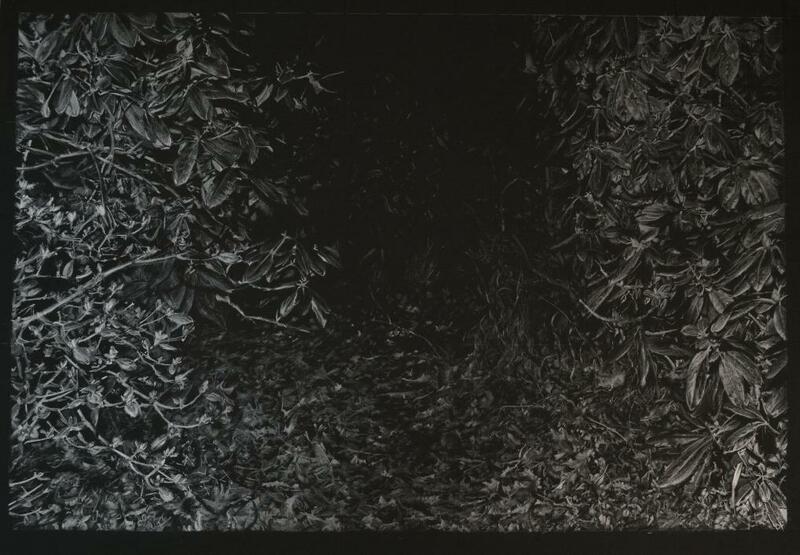 The drawing exploits the optical effect of graphite on a dark ground – its reflective quality increases with the low contrast ground resulting in a landscape that appears and disappears in relation to a moving viewer and a single light source, like a face in the dark, temporarily illuminated by the flame of a cigarette being lit. The primitive optics of the pinhole photography slideshow video, on the other hand, frame a journey from the start of the walking route to the beach destination and beyond into a maze of trees and bushes. This is no leisurely stroll, however, the editing implies a predator/prey point of view.